What will the impact of autonomous vehicles be on urban form and society? It is clear that autonomous vehicles will have an impact on our society, our transportation choices and urban form. Technology is advancing extremely rapidly towards the ability of vehicles to drive themselves. What are the social and urban impacts of these changes? In the intense and expensive race to realize these technologies, what areas have not been though and should be? What will the impact of these technologies be on urban form, public transportation and decisions with regard to public infrastructure design? The answer to these questions will clarify what is at stake and what should be investigated thoroughly prior to the implementation of many of these technologies in order that they contribute as positively as possible to our society. Since the Industrial Revolution, innovations in transportation technology have re-shaped the spatial organization and temporal occupation of the built environment. Today, autonomous vehicles (AVs) represent the next disruptive innovation in mobility, with particularly profound impacts for cities. 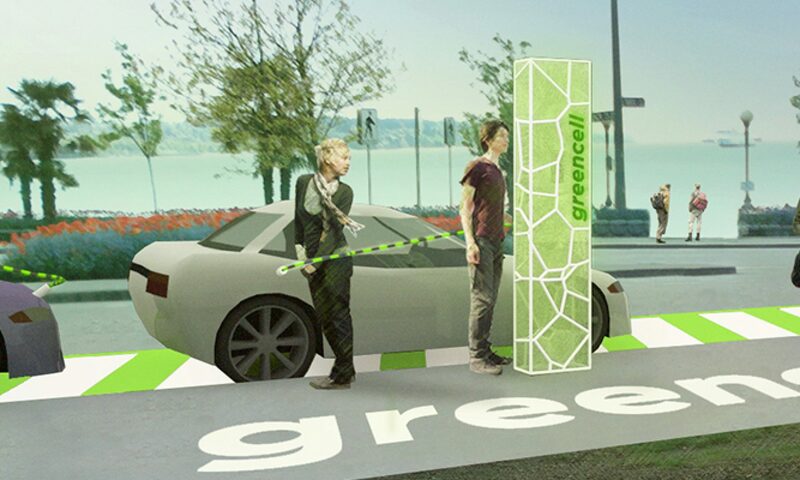 At this moment, when automotive and technology companies around the world are engaged in the fast-paced development of AVs, policymakers, planners, and designers need to anticipate and address the many questions concerning the impacts of this new technology on urbanism and society at large. This is a particularly vexing problem when dealing with innovation and radical changes because of the unpredictability of the future. In researching the subject, however, it became clear that rather than passively waiting for the future to unfold, in this case it may be better for society to imagine and design the future for itself. In doing so, there is a better chance of influencing the introduction of this new technology to our society in ways that benefit everyone. Architects have the ability to design a future and explain it to others through images. This is a powerful tool and one that is critically necessary when we are faced with the disruptive changes that AVs may bring. The purpose of this book is to bring this architectural design approach to the subject of autonomous vehicles and urban form. 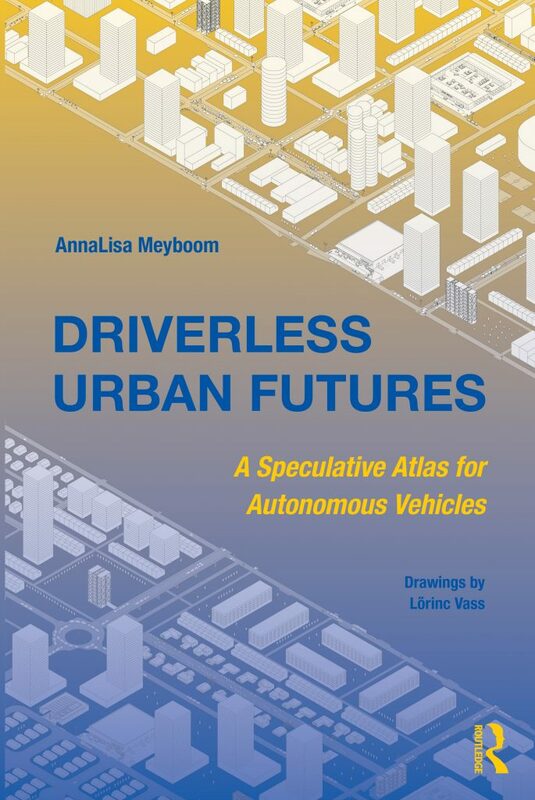 Conceived as a speculative atlas –a roadmap to unknown territories– this book presents a series of drawings and text that unpack the potential impacts of AVs on scales ranging from the metropolis to the street. Speculative in nature, the work is both grounded in a study of the history of urban transportation and current trajectories of technological innovation, and informed by an open-ended approach to future envisioning and design. Through this approach, the work explores potential futures: some that we may aspire to and others that we may wish to avoid, although the intention here is to foster engagement with these futures rather than to be prescriptive or directive. The speculative nature of the book is both its strength and its weakness. In being speculation, it lacks the authority of evidence-based research. Evidence-based research requires data to analyze; data is precisely what we do not have. The many social and technological factors which are involved in AV adoption are very complex and therefore difficult to model accurately, especially in light of the fact that there is limited relevant data to put in the model. And so conventional research is limited when faced with this type of problem. As an alternative, we have provided qualitative data in the form of informed speculation of multiple outcomes through both analytic discussion and drawings. The intent of the drawings is to ‘inhabit the future’. When we draw, we must envision: fill in the details of how things are configured and engage with the questions of why and how they became this way. In this way, an image of the future is drawn. The power of illustration is that sometimes the image becomes the blueprint of the future: as architects, we draw that which will then come into being. As architects of future infrastructures, we may be designing the future itself. The analytic discussion fills in the details of the thinking behind the drawings, outlining the reasoning, the technology and the social assumptions that are the basis of the drawings. Through the drawings, discussions and the essays, we hope to draw readers into a debate of what our future infrastructure could be; through this debate, we are optimistic that deliberate infrastructural decision will be made which will benefit all members of the public and levels of society. This research was funded by a Hampton Grant.